Clean CARFAX. 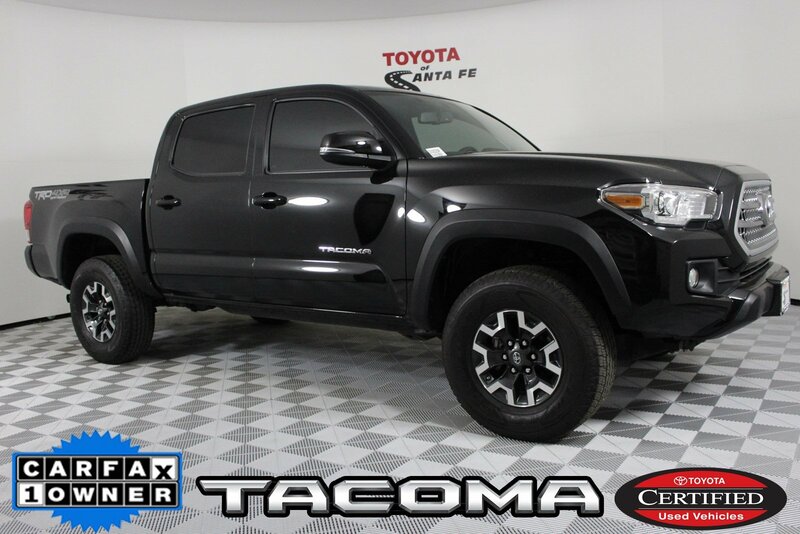 Black 2016 Toyota Tacoma TRD Offroad 4WD 6-Speed V6 Back Up Camera w/Projected Path, BLUETOOTH WIRELESS or SYNC, Tacoma TRD Offroad, V6, 6-Speed, 4WD, Black, Graphite Cloth.Black 2016 Santa Fe, New Mexico Toyota Tacoma TRD Offroad4WD. New Mexico Truck. 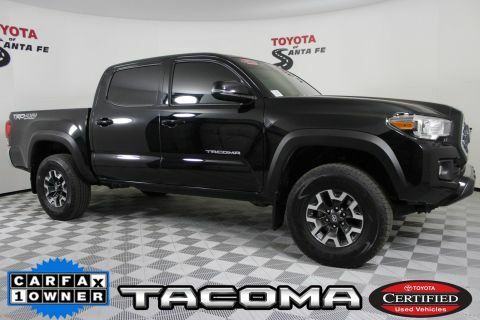 Stock number GX005259P, Recent Arrival! 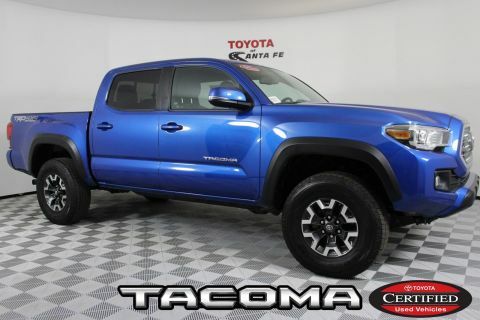 Odometer is 10207 miles below market average!Awards:* 2016 KBB.com Best Buy Awards Finalist * 2016 KBB.com Best Resale Value AwardsCall right now and schedule a test drive. 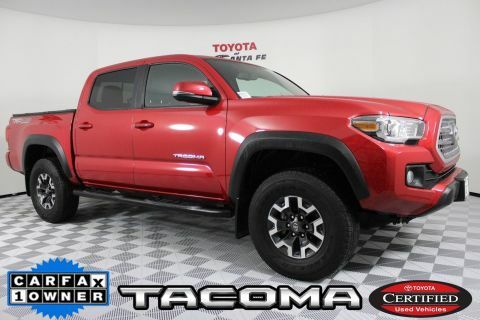 Ask for stock number GX005259P, the Santa Fe New Mexico 2016 Toyota Tacoma . 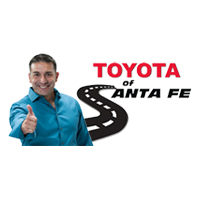 Visit us online ToyotaofSantaFe.com or in person at 1601 Saint Michaels Drive, Santa Fe, NM 87505, serving all of New Mexico.. Price includes all costs to be paid by consumer except for sales tax, registration, title, and $369 dealer transfer service fee. Price is valid for date of sale only. Internet price includes all available offers, incentives, and factory rebates.